Huawei is one of the bug players when it comes to smartphone making and also owns the Honor brand a sort of more affordable price tagged line of smartphones. 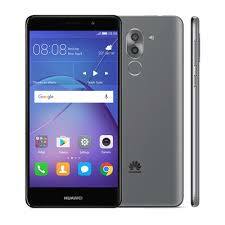 The Huawei GR5 (2017) is a mid-range offering and has quite a number of interesting features. However, the smartphone seems to be the same with the Honor 6X pertaining to the specs it has. Still let’s have a look at what the smartphone has to offer. The Huawei GR5 (2017) is a smartphone that fits right into the average look world. It has not too thick bezels but quite obvious ones with plastic casing wrapped around it. However, the bottom bezel is quite thick and would easily accommodate navigation buttons or a fingerprint sensor but as Huawei pasted on it instead. Viewing on the smartphone is done on a 5.5-inch screen with a full HD LCD display panel, which is not a bad option for an affordable mid-range device. Even though comparison cannot be made with high-end smartphones, a 1920 X 1080 pixels display with a pixel density of 401 ppi is a decent offering. You don’t have much in terms of battery capacity but there is enough for at least a day of use. Coming with a 2, 900mAh battery, its longevity depends on how power conserving the smartphone is. However, it lacks the quick charging seen in some more premium smartphones. Joining the league of dual rear camera smartphones, the Huawei GR5 (2017) is harmed with a 12MP and 2MP camera on the rear side. Selfies on the other hand is handled by an 8MP camera situated up front. This is quite enough for nice pictures but not excellent ones though. Looking at the hardware here, you have Huawei’s Kirin chipset alongside other decent features. There is an HiSilicon Kirin 655 processor with eight cores, 4 running at 1.7GHz and the other at 2.1GHz. In addition to this, the smartphone sports a Mali-T830 MP2 for graphics related issues. Also, the smartphone comes in two variants depending on the built-in storage and memory. On one hand, you have a 3GB RAM and a 32GB ROM. While on the other hand , there is 4GB RAM and 64GB internal storage. The storage expansion limit is 256GB using a memory card. You have the EMUI 5.0 based on Android 6.0 Marshmallow. 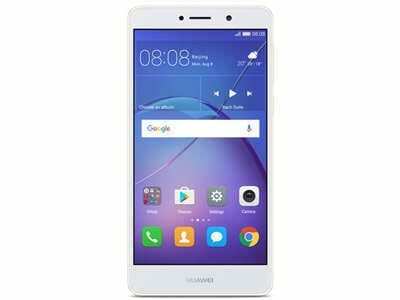 The smartphone is available for sale in various online stores and smartphone retail outlets for about 85, 000 Naira.